PP Sea Frog Diving Center is one of Phi Phi Island’s oldest dive operators and has their office outside the front PP Palmtree Resort in the main village on Tonsai Bay. Divemasters and Instructors are ready to get you out to the reefs to explore this amazing island. PP Sea Frog Diving Center has had a long reputation for serving the Bangkok Dive community, teaching divers in the PADI program and then organizing tours from the base on the beautiful island of Phi Phi. However if you are on holiday on Phi Phi you can drop in to arrange a course and or do a fun dive as there is often availability even in high season. 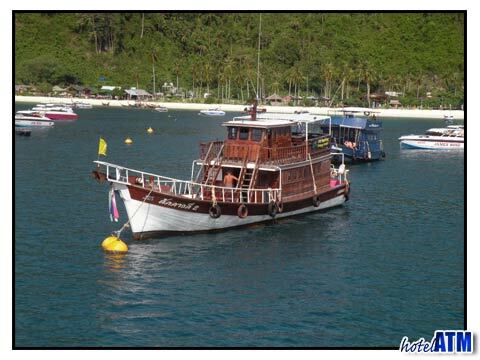 The core diving that PP Sea Frog Diving Center do around Phi Phi island is based on Phi Phi Ley, The Wreck, shark point and Koh Bida. These locations have countless variations and multiple drop in points and will entertain experienced divers over many visits. Diving on Phi Phi island is fun all year round with an average sea temperature of 29 degrees C, above water scenery to die for, and a massive variety of reef marine life and larger pelagic species. Even in the so called low or green season the diving can be extraordinary. The tall cliffs of Phi Phi keep the waves away so the sites collect many unique species sheltering from the passing storms. If you are in the main village and want to check out PP Sea Frog Diving Center you will find tours that are rarely promoted by the other dive centres without large liveaboards. 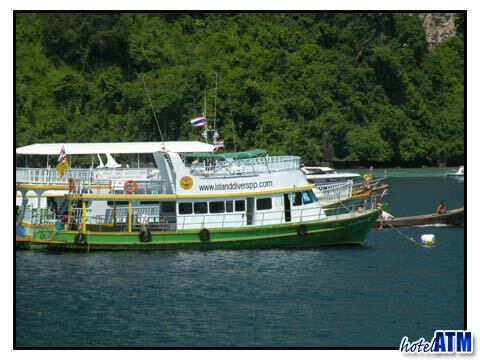 Sea Frog Diving established in 1989 at Phi Phi Island, Krabi. Our shop locates in the centre of the island.